What is an Egg Candler? 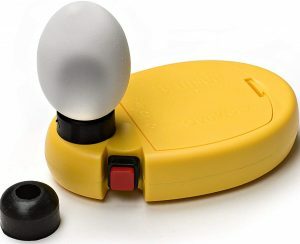 Egg candlers are devices used for testing eggs. Using the light from either LED or incandescent bulbs, egg candles help you check if an egg is viable or not while it is still incubating. Viable eggs are fertilized and will hatch to give birth to a chick. 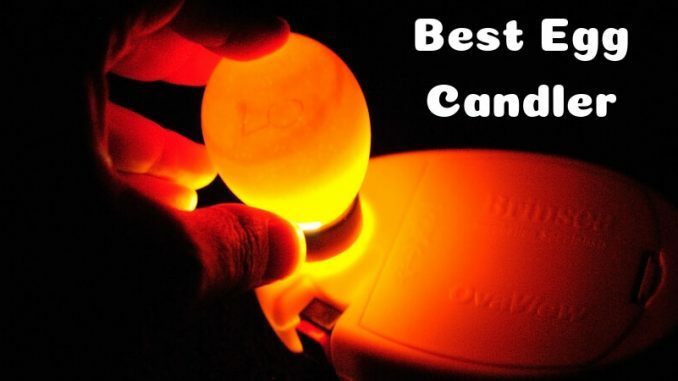 Egg candlers can also help in monitoring the growth of an embryo during its incubation and hence help pick out the best in the lot for hatching. The light from the bulb of the candle shines through the egg, the embryo being thicker looks darker than the yolk surrounding it and helps us see the stage of development of the egg. The term ‘egg candling’ comes from the practice of checking the development of an egg using a candle’s light. Using a candle for candling used to be the practice when electricity was not commonplace. Now, however, the candling is done using small bulbs to avoid damaging the embryo inside the egg and monitor it at the same time. LED bulbs also are cheaper and last longer. They than incandescent bulbs which keeps the embryo safe from any harm that can be caused by high temperature. There are many types of candlers in the market that cater to different needs. We have compiled a list of a few candlers on sale in the market and compared them for your benefit. This is the first item on our list because of its high popularity amongst customers. Though it needs to be plugged in, making it’s range limited, the quality of the product is high enough for it to be preferred over others. Super cool LED light to produce zero heat. 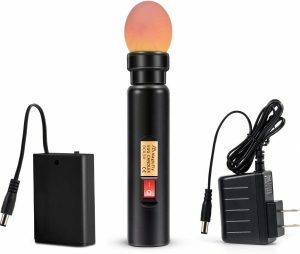 This product is the same as the product above except this is battery operated, making it portable. Rubber ring helps channel light properly into an egg. Though this candler is not as popular as the ones before, it is useful for its versatility. 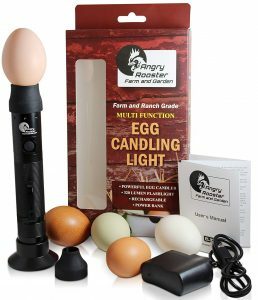 This is a valuable candler worth buying if you have different types of eggs to the candle. It is also portable. Eggs stay safe on the candler, allowing a 360° view. OvaScope, though a bit more on the expensive side, is value for money as it does its work properly as well as works for longer. High lumen LED bulb to ensure no replacing of bulbs. Countertop design makes it stable. 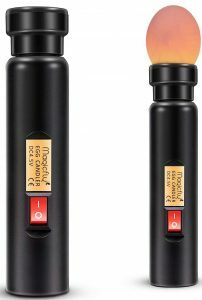 This is made by the same company as OvaScope, and the specialty of this model is the compact size. It is small and light enough for you to carry in your coat pocket. Portable so it can be used indoors and outdoors. 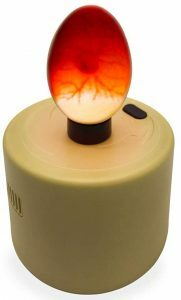 High intensity LED light ensures dark and mottled eggs can be tested. Different from the others, this is a candler which looks like a pen and is as small as a pen. If you have too much equipment to carry, this can easily be put in your pocket. 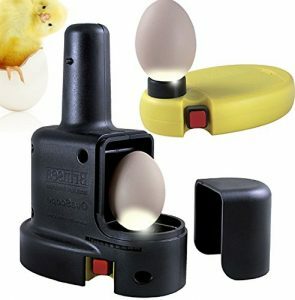 Ultra-Bright CREE LED light to view darker and larger eggs. Get these products for successful breeding! Don’t forget to leave us some feedback in the comment section below!